At icon we pride ourselves on the quality of our research. Unfortunately with Graviola (which can also be called Soursop) it is difficult to get much hard evidence, rather than just very generalised reports of effect. Fact? Extracts from Graviola, annona muricata, have been shown in research to inhibit the Herpes Simplex virus, and to have anti-viral, anti-parasitic, anti-rhumatic and cytoxic effects. In research (J Med Chem 1997, 40: 2102-6) activity against multi-drug resistant cancer cells was shown, and cytoxic ability has been shown with a number of cancer cell lines, particularly prostate and pancreatic cancers. One piece of recent research shows its ability to reduce HPV infection in conjunction with ellagic acid. Below, you will see a number of anti-cancer studies involving Soursop or Graviola. What we do know is that indigenous peoples from the Amazon jungle call it the miracle tree. Regular readers may remember our report on Neem, dubbed the local pharmacy in India. The Graviola tree grows five to six metres in height, and is native to South America particularly around the Amazon basin. It is also found in places such as Polynesia. The common names are Graviola, Soursop or (Brazilian) Paw Paw, but others include guanabana, cherimoya and custard apple. It is related to the fruit Durian in South East Asia which is claimed to have many health properties. 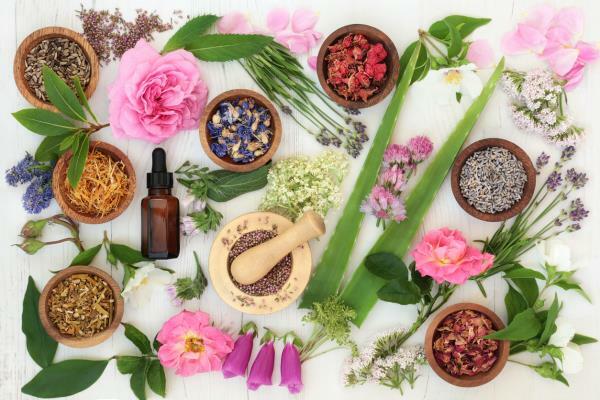 Local populations have used the tree bark, leaves, roots, fruit, seeds and flowers for thousands of years to treat everything from arthritis to liver problems. For example, the fruit and seeds are used for intestinal health and the elimination of parasites. Women eat paw paw to increase lactation; teas made from root and bark help as a sedative or nerve tonic and can maintain healthy glucose levels. In Polynesia teas elevate mood and reduce depression. Almost certainly, like Noni and Aloe Vera, a high polysaccharide content is responsible for many of its effects. Phytochemical alkaloids are active too. "If you are already thinking of buying this product you may like to see what Natural Selection has by clicking here." The FDA has approved Graviola for use only to support immune function. Immune boosting? (Wu FE various J Nat Prod 1995 June). A number of studies comes from Purdue University in America where, to date, $5 million of public funds has been spent on studies. Memorial Sloan-Kettering Cancer Center on its Website covers a number of benefits: Besides apparently slowing cancer, they cover clinical research showing graviola fights viruses, kills parasites, reduces inflammation, and reverses pre-diabetes states. Graviola or Soursop as a cancer cure? Until recently, in vitro research indicated that several of the active ingredients (Annonaceous acetogenins) kill malignant cells of 12 different types of cancer including breast, ovarian, colon, prostate, liver, lung, pancreatic and lymphoma. By 2008 the NCI supported the Purdue research, which confirmed that extracts from Graviola leaves killed cancer cells among six human-cell lines and were especially effective against prostate and pancreatic cancers. Another study showed their effect against lung cancer. Other studies, this time by the Catholic University in South Korea has shown that the active ingredients have selective cytoxicity comparable with Adriamycin, a drug historically used for breast and colon cancer. A further study published in the Journal of Natural Products claimed Graviola was 10,000 times more effective; a third study from South Korea showed that, unlike Adriamycin, there was no negative activity on healthy cells; whilst a fourth study from Purdue (1997) stated that many cancer cells which survive classic chemotherapy by developing resistance to chemicals, were attacked none-the-less by the Graviola agents. Dr Jerry McLaughlin, Purdue’s lead researcher says that many cancer cells, over time, develop a P-glycoprotein pump to expel the chemotherapy agent before it can work. However Annona chemicals bypass this and kill the cancer cell. Dr McLaughlin has a number of videos published on the web (yes, you have to pay for them) about his findings. All in all, Purdue researchers have found dramatic activity against worms, some viruses, fungi and many cancer cell lines. Nutrition and Cancer, June 2011, covered research from scientists at Virginia Tech showing that phytochemicals in Graviola could reduce the growth of breast cancer. And in mice given Graviola fruit extract for five weeks there was a ’significant reduction in protein expression in breast cancer tumors’. Overall, graviola extract reduced tumour growth by 32 per cent. In October 2012, Cancer Letter, a team from the Department of Biochemistry and Molecular Biology at the University of Nebraska Medical Center showed that Graviola killed pancreatic cancer cells both in test tubes and in animals and humans. The researchers showed Graviola inhibits signaling pathways and this led to a decrease in the rate of cancer cell division and growth, also slowing metastases. Of great interest was the 2017 study that annona muricata in conjunction with Ellagic acid (an antioxidant found in raspberries) significantly reduced HPV infection in women with or without cervical lesions (1). This could be an extremely important finding given that HPV vaccines do not work after the pre-cancer stage. There is also research (Roman G; Curr. Op. Neurology 1998; 11:539) that Graviola can stimulate seratonin receptors. This may provide anti-depressive benefits. A little complication is that American research is now claiming that the American Paw Paw is far more effective than all the others (Ed: But of course! ), but various reputable outlets supply original Graviola extract on the web. The best to take is probably the one where the active ingredient is a more absorbable, tincture format. However, beware taking the herb long term (e.g. over 30 days) as it may kill the helpful bacteria in the intestine. Results on this are inconclusive. 1. Morosetti G et al, Oncol Lett. 2017 Mar; 13(3); 1880-1884. Cannabis - cancer cure or illusion?